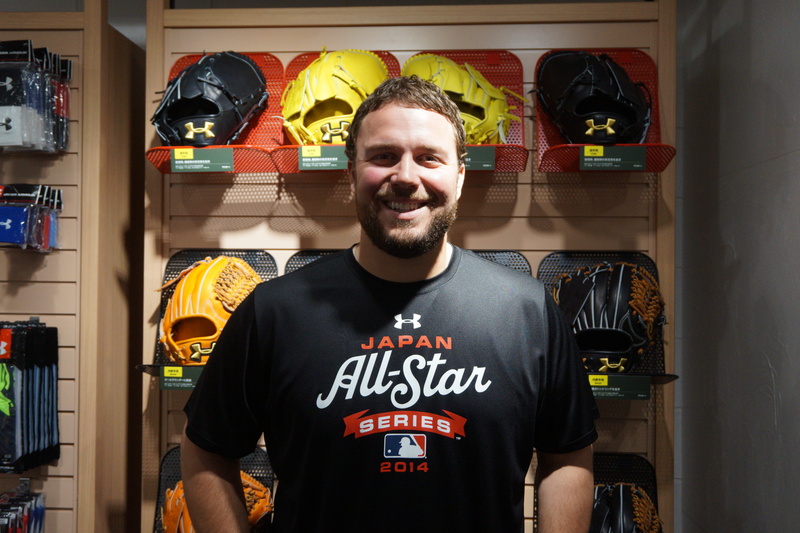 Tommy Hunter’s favorite thing about his first trip to Japan has been the food, sushi in particular. The Baltimore Orioles reliever is also getting a taste of Japanese baseball for the first time, as a member of the team MLB sent to compete against Samurai Japan in their five-game series, and he’s liked what he’s seen so far. 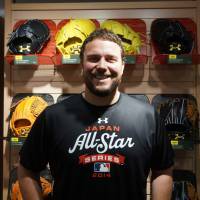 The MLB All-Stars’ first two games in Japan were as competitive as they get. The MLB team needed to get out of a bases-loaded jam in the bottom of ninth to escape with an 8-7 win over a combined team of Hanshin Tigers and Yomiuri Giants players in an exhibition on Nov. 10 at Koshien Stadium. They were on the wrong end of a 2-0 scoreline the next night, falling to Samurai Japan in Game 1 of the MLB-Japan All-Star Series at Kyocera Dome. Hunter didn’t appear in the exhibition game and threw a scoreless inning at Kyocera Dome. He said the atmosphere in both stadiums, as Japanese fans chanted and sung cheer songs for each player throughout the games, would be one of the things he’d remember most about the series. Hunter said that while he was impressed by the entire Japanese team, Hokkaido Nippon Ham Fighters star Shohei Otani stood out. Otani was 11-4 with a 2.61 ERA as a pitcher and also hit .274 with 10 home runs and 31 RBIs in 212 at-bats for the Fighters in 2014. The Orioles said the Japanese style was something the MLBers would have to adjust to during their short stay in Japan. “I think game in general is a little different here,” he said. “Lot of splits (split-fingered fastball). Even left-handers are throwing splits. “At Koshien Stadium, the first pitcher they threw (the Hanshin Tigers’ Atsushi Nomi), the left-hander, was throwing splits. I didn’t even know left-handers could throw splits,” Hunter added with a laugh. Hunter is coming off a year in which he finished 3-2 with a 2.97 ERA in 60 2/3 innings and helped the Orioles reach the American League Championship Series. Hunter began the year as the Orioles’ closer, but fell out of that role after hitting a rough patch early in the season. He overcame his struggles and was a steady contributor out of AL Manager of the Year Buck Showalter’s bullpen the rest of the way. “Baseball is, I can’t speak for it here, but in the States it’s a lot of ‘what have you done for me lately.’ ” Hunter said. “People usually only remember the last couple of things you’ve done, not the things at the beginning of the year. Which kind of helped me out quite a bit.